CMS Cepcor® replacement Hydrocone® and Superior® crusher spare parts and wear parts are proven in mining and aggregate production. CMS Cepcor® has over many years developed a range of aftermarket spare parts to suit Hydrocone® and Superior® cone crushers manufactured by Svedala Arbra and Allis-Chalmers. Our product range includes spare parts to suit the imperial series and 1000 series Hydrocone® and Superior® crusher models. CMS Cepcor® recognises that the Hydrocone® and Superior® range of cone crushers demand parts manufactured to exacting material grades and dimensional tolerance. 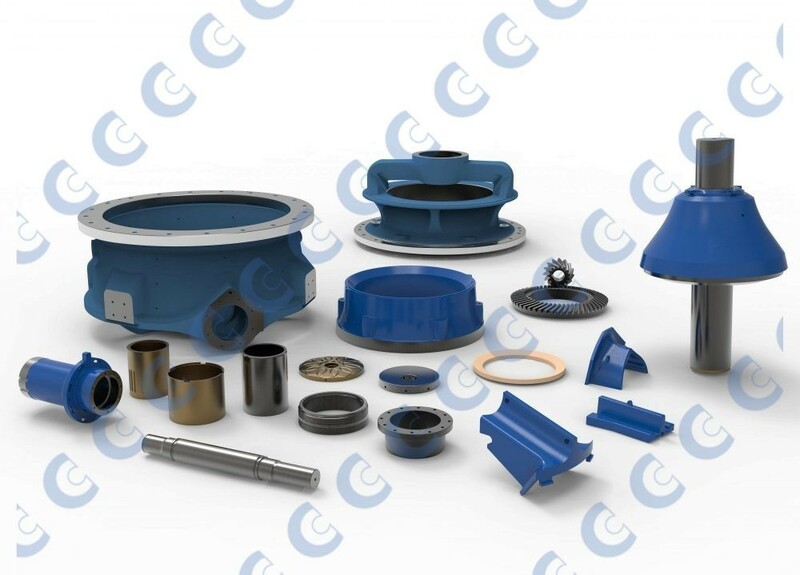 All CMS Cepcor® aftermarket parts are designed, manufactured and quality assured using state-of-the-art technology enabling us to successfully add replacement topshells, mainshafts, head centres and other major components to our product range. CMS Cepcor® has developed a range of premium aftermarket Crusher wear parts to suit Hydrocone® and Superior® cone crushers manufactured Svedala and Allis-Chalmers.